Hawaii’s innovative Community Outreach Court (COC) has reached another milestone. 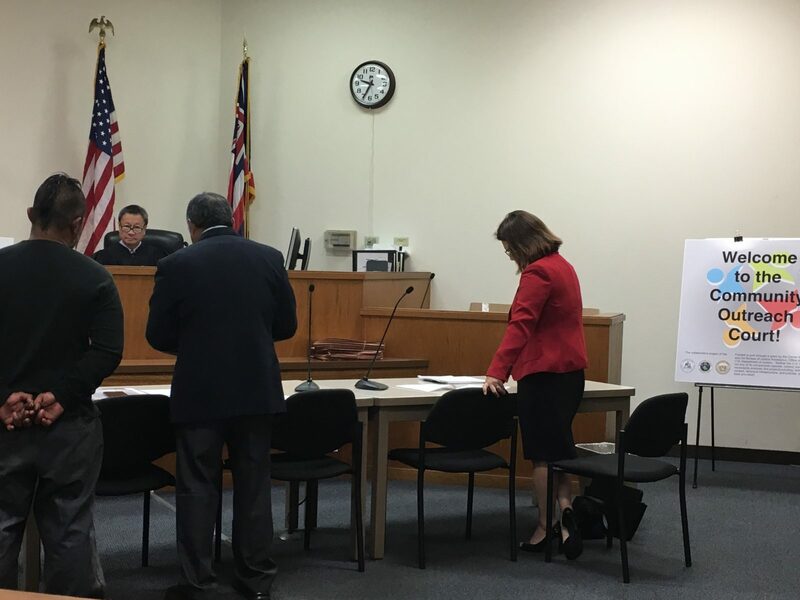 On Monday, December 18th, the court held a hearing at Wahiawa District Court. It is the first time a COC hearing has been conducted at one of the rural courts instead of District Court in downtown Honolulu. The goal since its inception in January, 2017 was to take COC into communities around Oahu so defendants would have easier access to the court and would be more likely to participate. Community Outreach Court was designed to assist people facing multiple low-level “quality of life” offenses and alleviate the congestion in district courts created in part by those cases. So far 58 defendants have participated in COC, 599 non-violent cases have been cleared, and 635.5 hours of community service have been performed.